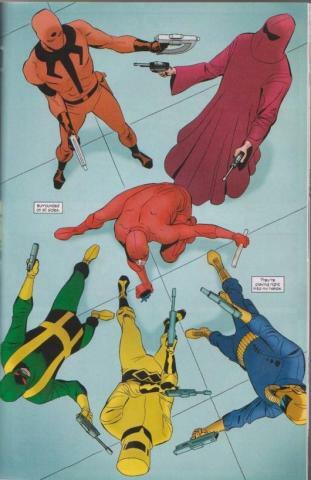 Even though it doesn't fall under "the relaunch" Daredevil did get renumbered around the same time and has been a personal favorite of mine since. Issue number six delivers another wildly entertaining story by providing great characterization, action, and dialogue. 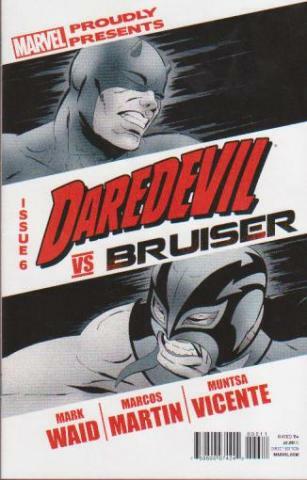 This issue has Daredevil battling an up and coming thug, Bruiser. What a fantastic action sequence between the two! 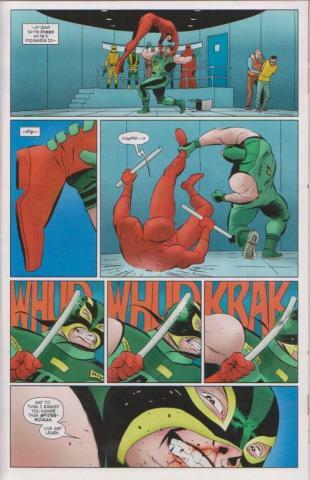 The highlight for me without spoiling anything is Daredevil showcasing his courtroom abilities to get out of a jam. The creative team of writer Mark Waid, artist Marcos Martin, and colorist Muntsa Vincent deliver a solid issue which can best be described as simply, fun.